July 2014 - Fig Food Co.
Last year, we started packing our yummy food in convenient, BPA-Free pouches. 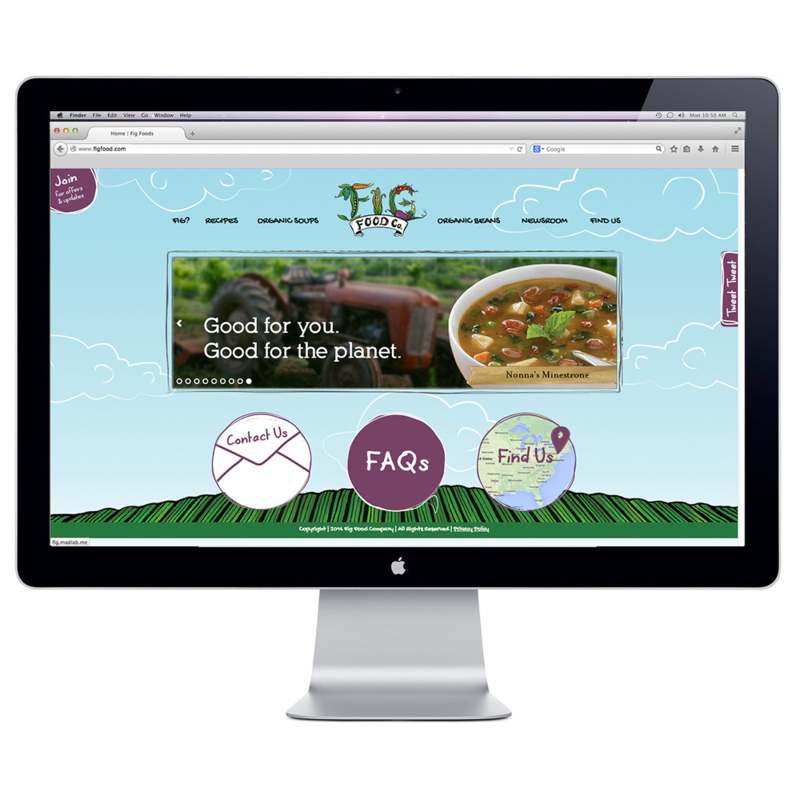 Now meet the new Fig Food website. Join the conversation, check out Tweet Tweet, or discover our organic, 100% plant-based soups and beans. Add a recipe that the world should know. There are buttons in there for FAQs, Contact and Find Us. So go explore. Look for the collection of important articles about the movement and their respective links in the Newsroom. Then get to a store nearest you, grab a pouch (or few) and enjoy Fig Food. And have a splendid day! Because our health is at stake. We’re not being dramatic, the personal well being of each individual as well as that of the planet is at risk – and we’ve moved well past the point of debate. It is time to return to practicing a few things the way we did before the advent of processed food and industrialized agriculture. 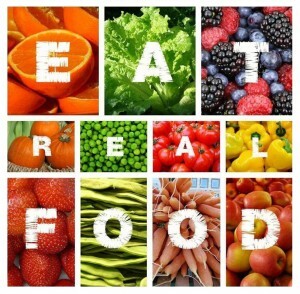 We need to slow down and place far greater value on conscious eating rather than eating based on convenience and cost. Real systemic change starts with each individual and our everyday choices. Perhaps the most fundamental of human activities, food requires decision-making which impacts our personal health and the environment. Food affects our economy and supply chain – but more than that, it shapes our values and approach to living life. We’ve entered an era where, for all the right reasons, consumers are asking the hard questions: how and where our food is grown; how it is prepared; whether or not anything has been added to it. A more holistic mindset is emerging and changing how people approach food. This includes where people choose to invest their time and resources in quality, wholesome ingredients and food preparation. The organic lifestyle, slow cooking movement, efforts to lower our carbon footprint, and personal/private/governmental sustainability trends are redefining our culture and here to stay. Certified B Corporations are leading a global movement to redefine success in business. We hope that you are inspired, not just by our vision, but by the movement’s ability to translate ideas into action. B Corps create higher quality jobs and improve the quality of life in our communities. And, as the movement grows, it has become an increasingly powerful agent of change. We are passing laws. We are driving capital. Government and the nonprofit sector are necessary but insufficient to address society’s greatest challenges. Business, the most powerful man-made force on the planet, must create value for society, not just shareholders. 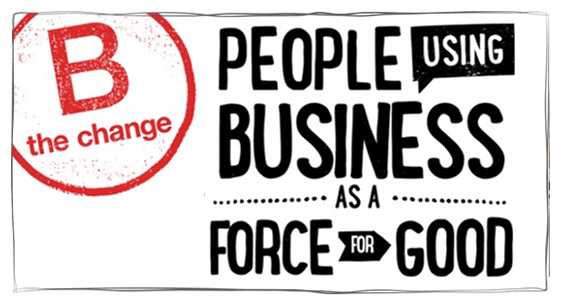 Systemic challenges require systemic solutions and the B Corp movement offers a concrete, market-based and scalable solution. Over 1,000 businesses have already joined our community, encouraging all companies to compete not just to be the best in the world, but to be the best for the world. As a result of our collective success, individuals and communities will enjoy greater economic opportunity, society will address its most challenging environmental problems, and more people will find fulfillment by bringing their whole selves to work. There are over 1,000 Certified B Corporations around the world. There are Certified B Corps in over 30 countries. B Corps were 65 percent more likely to survive the recession.